Mary Wiktorowicz is Professor of Health Policy, Director and Special Advisor to the Dean for Global Health, Community Partnerships and Strategic Projects in the Faculty of Health. As Associate Dean, Community and Global from 2014 – 2017 she supported the launch of the Dahdaleh Institute for Global Health Research and served as its Interim Director (2016 – 2017). 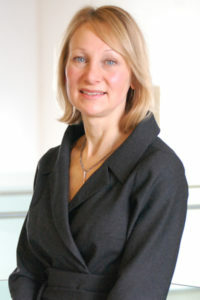 As Chair, School of Health Policy and Management from 2006 – 2014 she led the school through a period of growth including the development of the PhD Program in Health, with the first field in Health Policy and Equity, and guided the development of the interdisciplinary Global Health BA and BSc. She is a member of the Graduate Programs in Health (Health Policy and Equity) and Critical Disability Studies. Professor Wiktorowicz adopts a comparative lens to study mental health and pharmaceutical governance and policy, and global health governance. A recent study focused on mental health governance assessed the governance models ten local health networks used to coordinate mental health care across four provinces in Canada. The fragmented accountability regimes underlying mental health policy is a related research theme, including the legacy of the Canada Health Act in limiting the evolution of a system of comprehensive mental health care across Canada. In her research on pharmacogovernance, Professor Wiktorowicz develops frameworks to enhance our understanding of the transnational governance models that guide the development of harmonized international standards for pharmaceutical safety and efficacy. Her research traces parallels in the governance approach of the global medicines network to that of its member jurisdictions to clarify the nature of their distinctive governance frameworks and the resulting dissonance they foster in post-market regulatory policy. Professor Wiktorowicz’s research in global health governance addresses the limitations inherent in the accountability frameworks underlying global programs of financial aid, with a focus on those supporting the prevention and treatment of malaria in low-income countries. Her research on local governance in Indigenous communities in India assesses the strengths and weaknesses of systems of local governance and the manner in which they support the enhancement of vulnerable women’s and children’s health. She is an advisor to governments on current policy including the Canadian Senate Standing Committee on Social Affairs, Science and Technology, the House of Commons Standing Committee on Health, the Ontario Local Health Integration Collaborative on Mental Health, and the Ontario Ministry of Health and Long Term Care. She was a CIHR Best Brain advising on mental health policy.